Everyone knows the story of good vs. evil and that in the end good usually prevails. What happens, however, when good is pitted against good? What if the rivals are two of our most hallowed Super Heroes – Batman and Superman? Who wins and whose side will you take?? 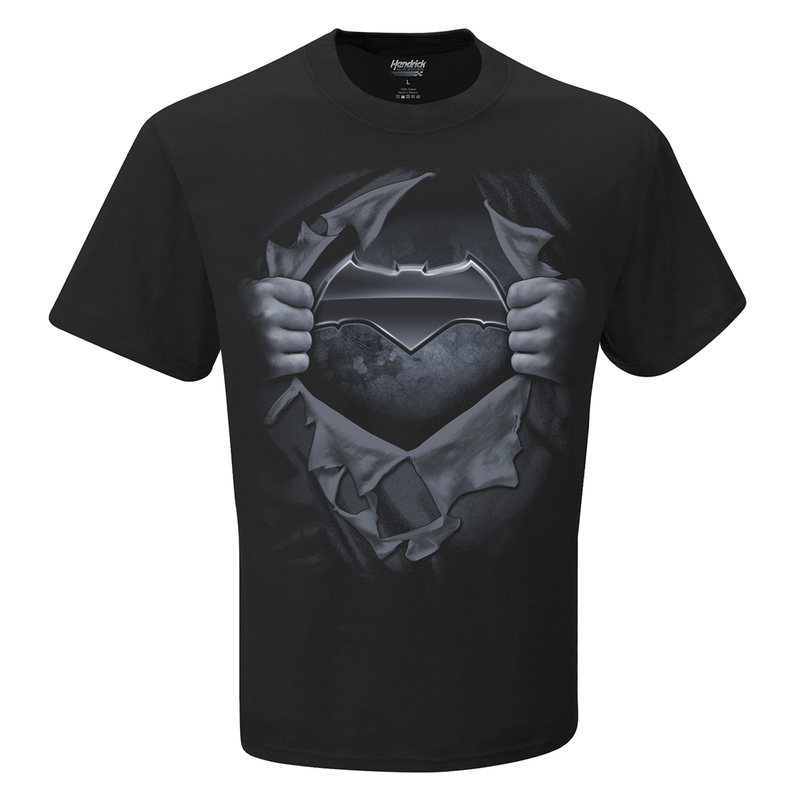 The next superhero flick from Warner Bros. set in the DC Comics universe arrives on the big screen March 25, 2016 – Batman v Superman: Dawn of Justice. Before the blockbuster is released to the masses, the two Super Heroes will appear together at Auto Club Speedway for the fifth race of the NASCAR Sprint Cup Series™ season. Batman’s iconic bat symbol will appear on the hood of Dale Earnhardt Jr.’s No. 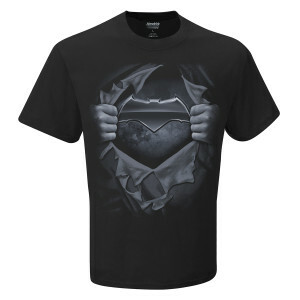 88 Chevrolet, while Superman’s legendary “S” logo will be taking center stage on the hood of Jimmie Johnson’s No. 48 Chevrolet. 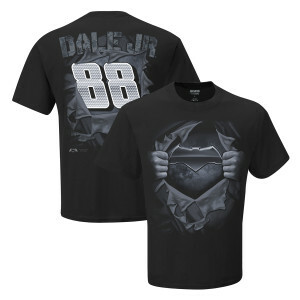 Cheer on Dale Jr. in this historic event with the #88 Batman The Dark Knight T-shirt. 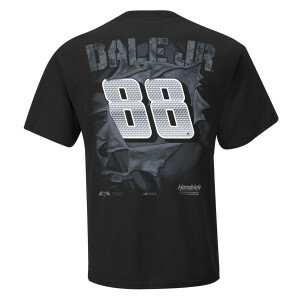 This shirt features special edition Dark Knight kevlar inspired graphics with your favorite driver's name and number on back! Whose side are you on? Order today, before it’s too late. 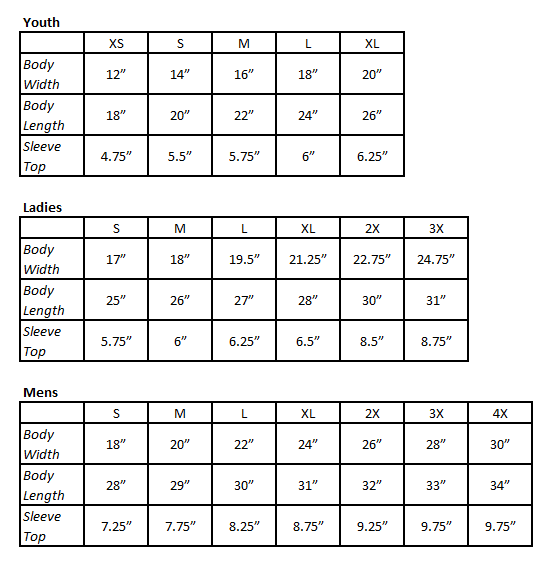 The shirt size is perfect. I pre-order it and forgot that it was coming. Imagine my surprise when it was in my mailbox.